This article is the first in a series that will explain the history and evolution of Medicaid, essential components of this federal and state partnership, how Medicaid supports access to home and community based services (HCBS) for individuals with developmental disabilities, and how advocates can influence Medicaid state and federal policy. Basic understanding of Medicaid is essential when discussing services with key stakeholders, especially elected officials and state and federal administrators. Reviewing the early history of Medicaid shows how and why changes to the program affect beneficiaries and state developmental disability services. Beginning in 1965, Medicaid has improved access to health care for low income and medically needy populations. While the program was originally intended as a companion to Medicare to pay for medical care, it has developed into a facilitator of innovative community-based services, especially long-term supports for our nation’s most vulnerable citizens. Medicaid is an expansion of a program that was targeted to low-income elderly. The Social Security Amendments added blind, permanently disabled, and single adults with dependent children. It was a part of a “three layer cake” that included Medicare—hospital and doctor coverage—as the first two layers. Initially it was perceived to be a relatively minor part of the amendments. Decisions made at the time of Medicaid’s enactment have set the stage for the program’s development. Two concepts in the 1965 Social Security Act amendments—medical indigence (the inability to afford medical care) and the availability of comprehensive benefits—have been at the core of ideological debates over the generosity of the program and its status as an entitlement. As a federal-state partnership, Medicaid is administered largely by the states with federal direction and is funded from both state and federal budgets. A statutory formula known as the Federal Medical Assistance Percentage (or more commonly, FMAP) determines what share of a state’s Medicaid program is paid by the federal government and what is paid by the state. 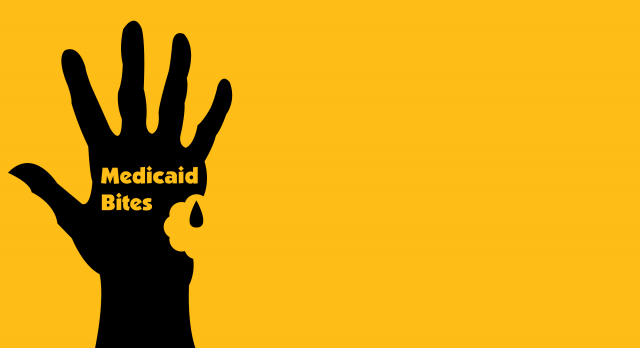 Who Is Covered Under Medicaid? States are required to cover certain populations (Mandatory Populations) and can then cover people beyond those required (Optional Populations). What is Covered Under Medicaid? States must provide all beneficiaries with a basic set of services, including doctor visits, hospital care, and care in nursing facilities. States may provide “optional” services, including dental care, eyeglasses, speech therapy, and prescription drugs. Medicaid served as the backbone of the Affordable Care Act—it now is a path toward reducing the ranks of the uninsured, especially if you are in a state that has opted to partake in the expansion. Medicaid is the largest source of funding for developmental disability services. It is also a set of rules, exceptions, and exceptions to these exceptions. The program’s complexities can bewilder even the most seasoned stakeholders. Knowing the basic concepts and federal requirements and how the state and federal partnership functions contributes to a deeper understanding of how developmental disability services fit into your states Medicaid program. This entry was posted in General by Jessica Sadowsky.